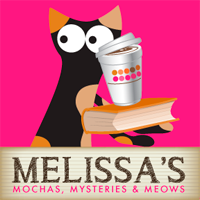 Welcome to the debut of a new feature here at Mochas, Mysteries and Meows! 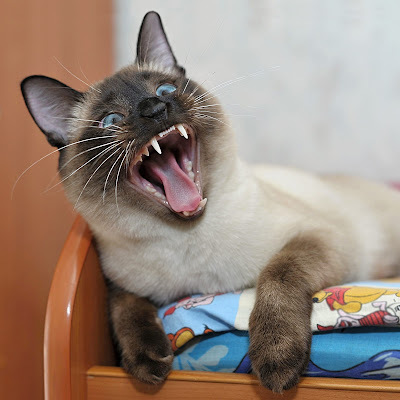 1) Cats have 30 adult teeth and 26 baby teeth, which is much fewer than both dogs and humans. 2) The emergence of teeth is one of the best ways to gauge a kitten's age. The tiny front teeth (incisors) and canine teeth (fangs) begin to erupt at 2-4 weeks old. The permanent teeth emerge at around 3-4 months old, with all teeth in place by 6-7 months. 3) Sometimes cats don't lose their baby teeth, a condition called “retained deciduous teeth”. This can cause the permanent teeth to erupt in abnormal positions, so a baby tooth should be surgically removed as soon as the permanent tooth has begun to push through the gums. 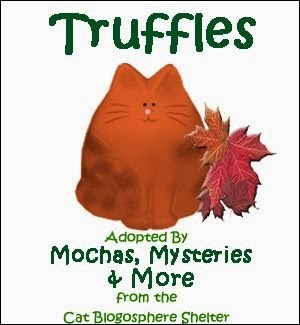 4) Each tooth plays an specific role: the incisors are mainly used for grooming (the removal of fleas and debris, tangles and matted clumps of fur), whereas the fangs grasp and kill. The premolars and molars shear and cut meat. 5) The tooth is made up of three substances: the pulp is in the center and contains cells, nerves and blood vessels; dentine is a hard, bone-like material that covers the pulp, and enamel covers the crown of the tooth protecting it and the dentine underneath. 6) Cats don't get "cavities" as we know them, but instead experience tooth resorption. 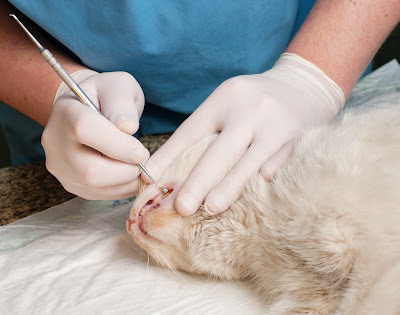 A very common condition in otherwise healthy cats over the age of 5, tooth resorption occurs when the outer layers of a tooth (or teeth) are eaten away and absorbed into the inner layers, progressively destroying the tooth. Extraction is the best treatment for tooth resorption, also challenging because these teeth are very fragile and can easily fracture during removal. 7) Most cats develop periodontal disease by age three showing symptoms such as red inflamed gums, persistent bad breath, loss of appetite, weight loss, bleeding, and loose or discolored teeth. If left untreated poor dental hygiene can be associated with more dangerous medical conditions such as kidney, liver, heart complications and diabetes. Periodontal disease in pets is a chronic, irreversible condition, which is why taking care of your pet's mouth before there's a problem is so important. Many vets are discounts on dental services during the month of February so this is a great time to make an appointment! 8) Oral disease can often indicate a more serious health problem. 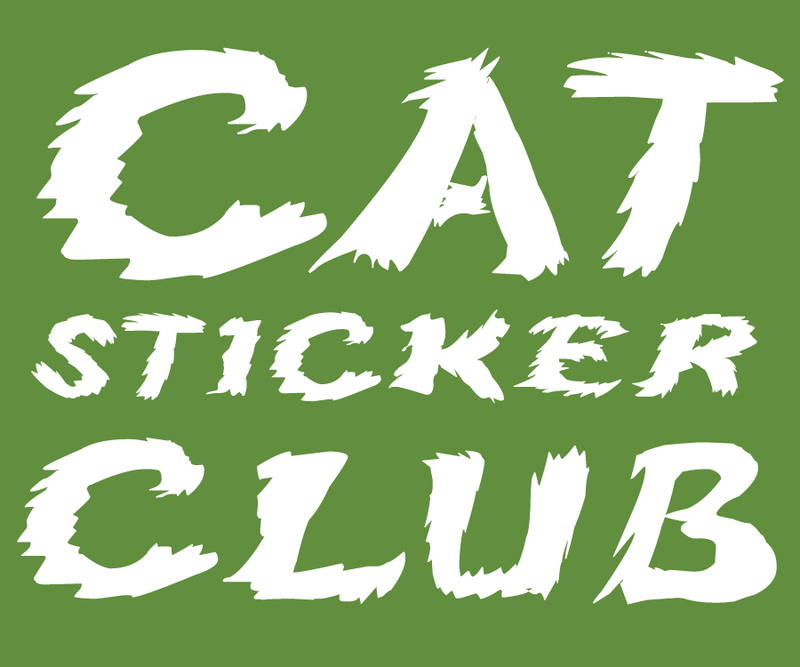 Cats with feline leukemia virus (FeLV), feline immunodeficiency virus (FIV) and feline calicivirus are more likely to have painful and chronic dental conditions such as feline stomatitis, which occurs when a cat's immune system seemingly overreacts to dental plaque, triggering inflammation in the tissues of the mouth. It's important to get familiar with your cat's mouth and desensitize her to touch as early as possible in order to do regular checks and report anything unusual to your vet right away to rule out significant health issues. 9) Contrary to popular belief, noshing on kibble doesn't keep a cat's teeth clean as most cats don't chew enough for it to make a difference. 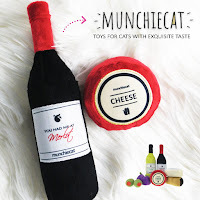 Chewing is more difficult for cats because their jaw can only move up and down, not side to side like humans. 10) Just like us, cats can accidentally break a tooth. The most likely tooth to fracture is the upper canine tooth (the large fang) and the first symptom you may notice is your cat sneezing! My human didn't know about the sneezing and cracked tooth fact! Really interesting post! My Angel Baby Agnes broke a fang in half. The first sign I had was excessive drooling. She went straight to the vet to have it removed. Great facts! One of the first things our VET checked when Mom took Ellie in for sneezing was her teeth. Fortunately, her teeth were all good! I love this new type of post you're starting! 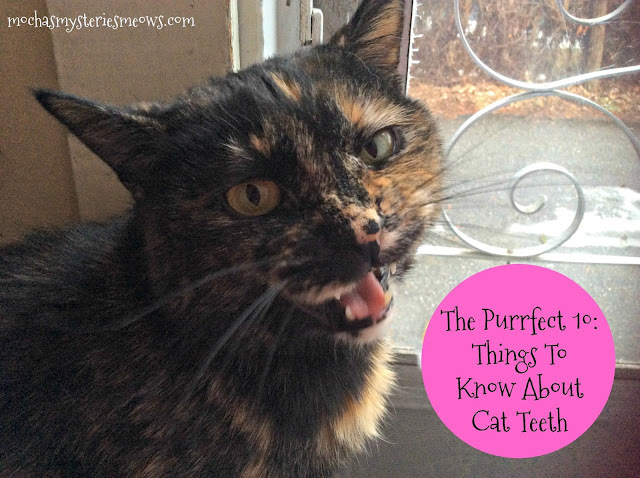 I have always been intrigued by feline dentition, and you give such wonderful information here. 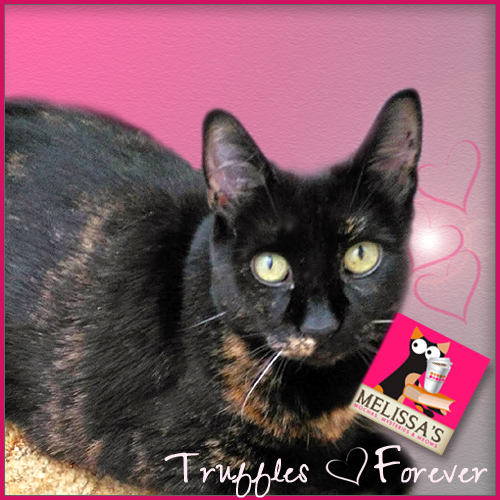 We can't wait to read more of your Purrfect 10 posts, Mudpie and Melissa! Very interesting, and I love this idea for a series. Had no idea that a cat's jaw can only move up and down! We learned some things about our teeth today. Thanks, Mudpie! The Purrfect 10 sounds like a great new idea! And these dental facts are also great to know. I did not know a persistent sneeze could be a broken tooth. You have a great smile Miss Mudpie. I've seen both sides of this ... Kitty's fang became inflamed and she stopped eating and by the time we realized it, she had hepatic lipidosis and then diabetes. Our family was chaotic at that time and so no one person was in charge of taking care of her ... so it slipped through the cracks. As you know, I brush Bear's teeth every day ... a few weeks after bringing him inside, I noticed blood on the toy we were playing tug-of-war with. I couldn't figure out how an 8 month old cat could have dental problems, so I ignored it until a year later with an emergency visit to the vet for something unrelated (and yes, he had a yearly exam in there ... but the vet didn't look in his mouth or at his teeth). I guess he just has a proclivity to problems. Even so, a visual examination isn't enough ... he's gotten the all clear several times ... one time a tooth fell out at home ... and then the vet finally acknowledged he was getting pockets under his teeth that the vet couldn't detect with a simple visual examination. I've been brushing his teeth daily (for almost 10 years) since the first incident when he was 1 1/2, and he still loses teeth. It's so frustrating for both of us! The moral of the stories is dental health is a big deal ... and no matter how old your cat is, make sure your vet does a check of his/teeth at every visit! 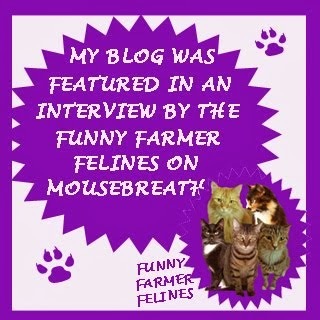 This is the post where I talked about both situations: http://mommakatandherbearcat.blogspot.com/2015/10/watch-out-for-teeth.html. I've been meaning to re-write the post for several reasons ... one being that Bear's had a dental and lost another molar since the post was published. Wow!! I learned a lot! My sister is a vet and she says that cat dentals can be one of the most difficult things to do cause their teeth can break so easily and they have lots of roots! That's why it's so important to try to keep your cats teeth healthy! !